We all have a favorite holiday movie that we love with all our hearts, despite it being seemingly unknown by most people. It makes watching that movie even more special, like you have a holiday tradition few others could appreciate, a little hidden gem of Christmas joy. My hidden gem of holiday joy is A Muppet Family Christmas. No, it’s not the same as A Muppet Christmas Carol—although I love that movie, too. 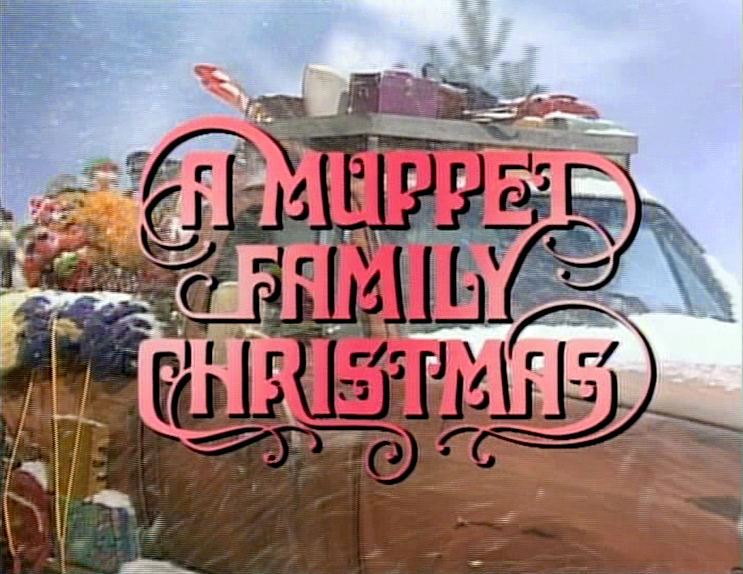 A Muppet Family Christmas is a TV movie first aired in 1987 that features all of the classic Muppets, Sesame Street gang, and Fraggles visiting Fozzie Bear’s mom for Christmas during a snowstorm. Most people don’t know this made-for-TV special exists, but those who do cherish it for the gift it is. My sister and I have to watch it at least once every Christmas season, but we can be heard quoting it and referencing it all year (especially telling people to “Look out for the icy patch!’). From interactions between Big Bird and the Swedish Chef to small talk between Ernie, Bert, and Doc, this is a mash-up of some of the most beloved characters of not just my generation but ones before and after me, too. This special ends with a wonderful Christmas sing-along featuring all of these characters, and I dare anyone not to get a little misty-eyed when Robin starts singing “It’s in Every One of Us.” The emotion of that moment is only matched by the rare cameo from Jim Henson, who passed away only three years after this special first aired. What makes A Muppet Family Christmas really special to me, though, isn’t just the movie itself. It’s the experience of watching it. My copy of this movie is a VHS recording from Nickelodeon sometime in the early 1990s, which means it is full of wonderfully cheesy 90s commercials for Polaroid cameras and Pizza Hut. Watching this tape is like getting a great dose of nostalgia at a time when we all feel a little more nostalgic for our childhoods than we normally do. Every year, my sister and I can curl up on the couch, pop that tape in, and feel like little kids again, which is what this time of year is all about. If you don’t know the joy of A Muppet Family Christmas, I suggest heading over to YouTube at your earliest convenience, where you can find the whole thing waiting for your viewing pleasure. You won’t regret it. We can all use a little more Muppet-induced happiness at this time of year (and always, let’s be honest). Is there a little-known Christmas movie that you love the way I love A Muppet Family Christmas? I want to hear all about it! This entry was posted in Fangirl Thursdays, Holidays and Celebrations and tagged fangirl thursdays, film, holiday happenings, television, the muppets by Katie. Bookmark the permalink. I LOVED reading your story Katie! I especially love the part about this being on an old VHS taped from TV with commercials included! I recently got rid of all my old X-Files VHS tapes (I had every EP of all 9 seasons!) and I mourn the loss of the commercials the most! I used to have a tape of the 1985 TV musical version of ‘Alice in Wonderland’ my grandma made and even as a kid I would insist on watching the old commercials with it. After awhile it becomes part of the show. I wish I had a fun holiday TV tradition like this. I do try to catch the Christmas X-Files episode every year or two. Last year I made Sean join. I will never tire of the final scene with ‘Have Yourself a Merry Little Christmas’ playing and Mulder and Scully exchanging gifts you never get to see. 15 years later and its still fun (and slighty frustrating) to try to guess what is in those boxes!! I kinda feel like Holiday Inn doesn’t get the attention it deserves. It is just as good as White Christmas, which I also adore, it just lacks technicolor!